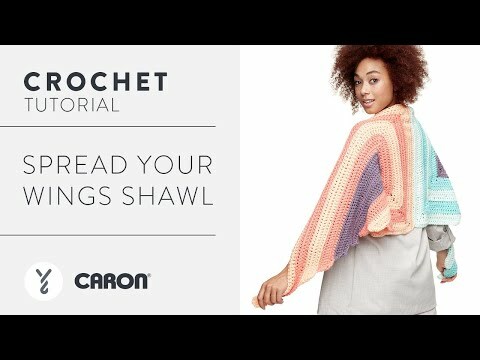 Use double crochet stitches and simple shaping to make a pretty wrap with Caron® x Pantone™! Worked in two pieces and seamed in the centre, this free crochet shawl pattern works up quickly and easily. Each "wing" is worked from the center-out in double crochet with simple shaping to create a horseshoe shape. Customize the stripes to your liking with the many shades of Caron® x Pantone™.